S.D. Allen was a longtime member of Calvary Baptist Church. 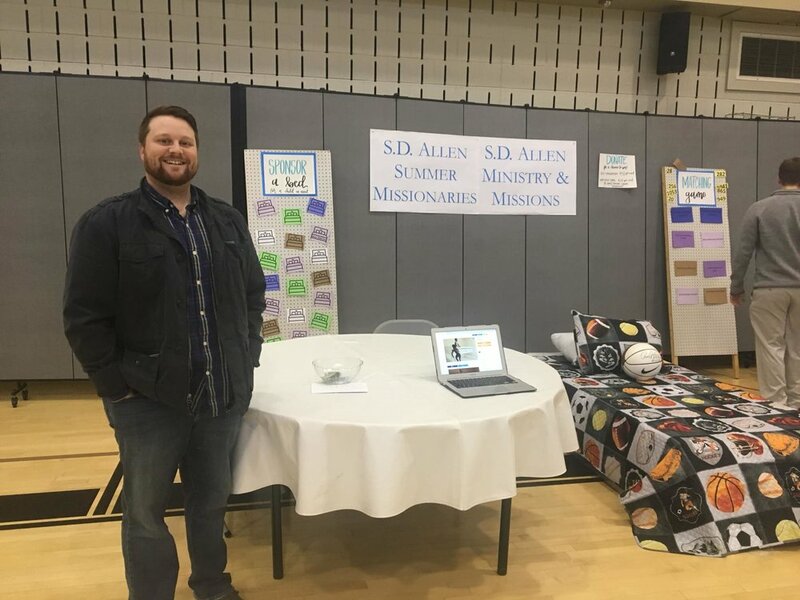 Mr. Allen had a heart and vision for local missions. Upon his passing, he left a generous gift to provide resources for future generations to share Christ through mission work within Tuscaloosa County. That gift was allocated to build the S.D. Allen Building which is located at 1220 17th Street. The building was designed to be used as a short-term staging area for local missions and to be used by the S.D. Allen Ministry as a beachhead to provide for the spiritual and physical needs within the community. The April 27th, 2011 Tornado Disaster in Tuscaloosa provided an opportunity for many churches to work together in meeting the needs within the community. There was a great need to help people with household items. Since the tornado, we have found that there are many people in our own community that, due to many different circumstances, cannot afford basic furniture. There are many great organizations that provide food, clothing, shelter, and monetary help for our neighbors in need. However, there aren’t many resources in our community for people who need something as simple as a bed to sleep on. Thus, the need for a furniture ministry arose. The S.D. Allen Ministry & Missions has been a full-time facility since December 2013. The S.D. Allen Building operates a furniture donation and delivery ministry, a student missionary program, and the Hope Initiative Rehab & Repair Ministry. Jeff is from Lexington, Alabama and is a 2011 graduate of The University of Alabama. He is an avid sports fan and loves to play golf. While serving in a local ministry in college, he realized his passion for those in need in our local community. Jeff lives in Tuscaloosa with his wife (Lauren), daughter (Hadley), and their great dane (Riggins).